Xiaomi has launched a really good flagship smartphone in 2018, the Mi MIX 2s. Before the Mi MIX 2s announcement, it was highly anticipated that the Chinese smartphone maker will launch the Mi 7 at MWC 2018 instead. However, the company pushed the launch of the Mi 7 for a later date and it now appears that the Mi 7 might not launch at all. Xiaomi will instead launch the Mi 8, to commemorate its eighth anniversary. The Xiaomi Mi 8 might be one of the most ambitious smartphones from Xiaomi, and new renders of the device reveal the possible design. 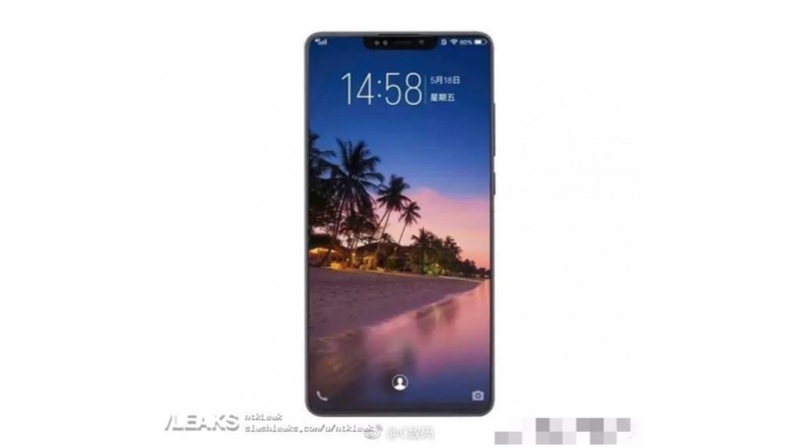 The leaked renders of the Mi 8 imagine the smartphone with an iPhone X like notch and extremely thin bezels around the other three sides. The notch is bigger than the one found on the Huawei P20 Pro or OnePlus 6, and resemble the iPhone X instead. This is mainly due to the huge amount of sensors stuffed inside the Mi 8 notch. The smartphone is expected to be the first Android device to feature iPhone X like 3D facial recognition technology. 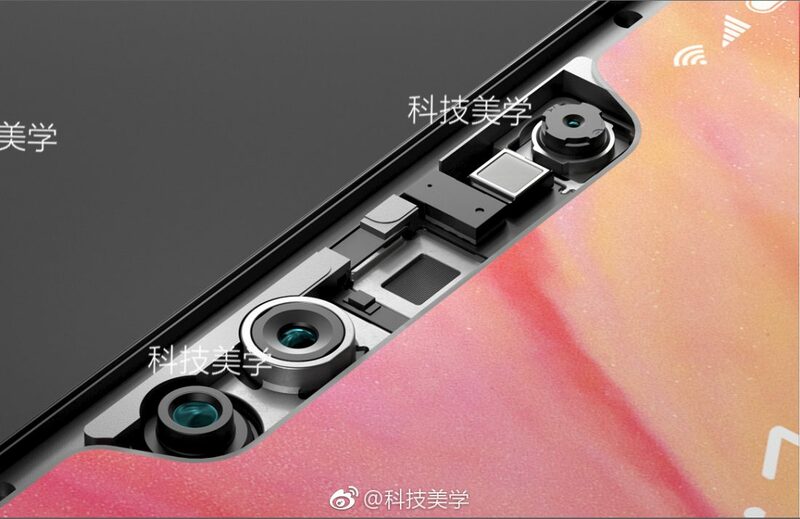 A recently leaked image of the notch of the Mi 8 revealed the all the sensors that will make the facial recognition system possible. The module is designed by Xiaomi itself and will include an Infrared (IR) sensor, a dot projector, front-facing camera, earpiece, ambient light sensor, and a proximity sensor. For context, the iPhone X notch houses an Infrared camera, flood illuminator, a dot projector, and a front-facing camera along with necessary sensors. Coincidently, the image looks very similar to Apple’s promotional images of the notch. For context, the iPhone X notch houses an Infrared camera, flood illuminator, a dot projector, and a front-facing camera along with necessary sensors. If Xiaomi pulls it off and these reports have any weight of truth, the Mi 7 could be a very interesting Android smartphone. The Mi 7 could be what the Mi MIX was for Android devices in 2016 with its nearly bezel-less design. Companies like Samsung, Huawei, Google will also look to implement a similar technology sooner rather than later if the Mi 7 is launched with 3D facial recognition technology. The images also reveal that the Mi 8 won’t have a chin like other Android smartphones with a notch. This means that Xiaomi could also an OLED display, in order to bend it from the bottom and shrink the chin. There are no details about the launch of the smartphone yet.